What size tent should you rent? 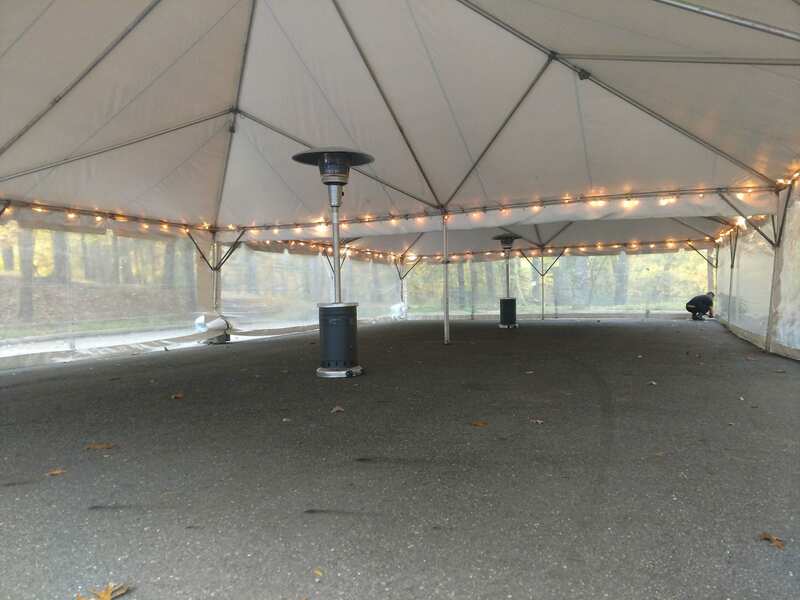 The size depends on how many people are coming and how you want to use the tent. 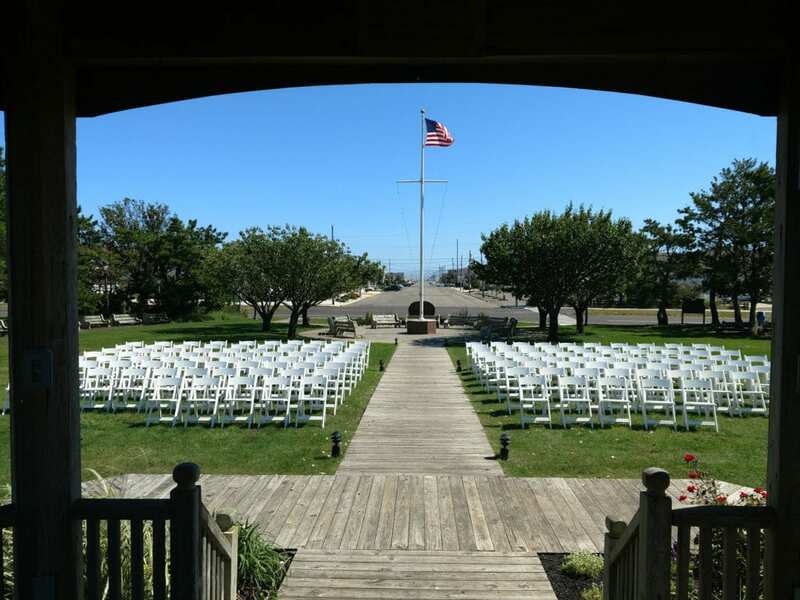 We will be happy to help you choose an appropriate size for your event. Do you want everyone seated? If you do, then the tent must accommodate that many people. 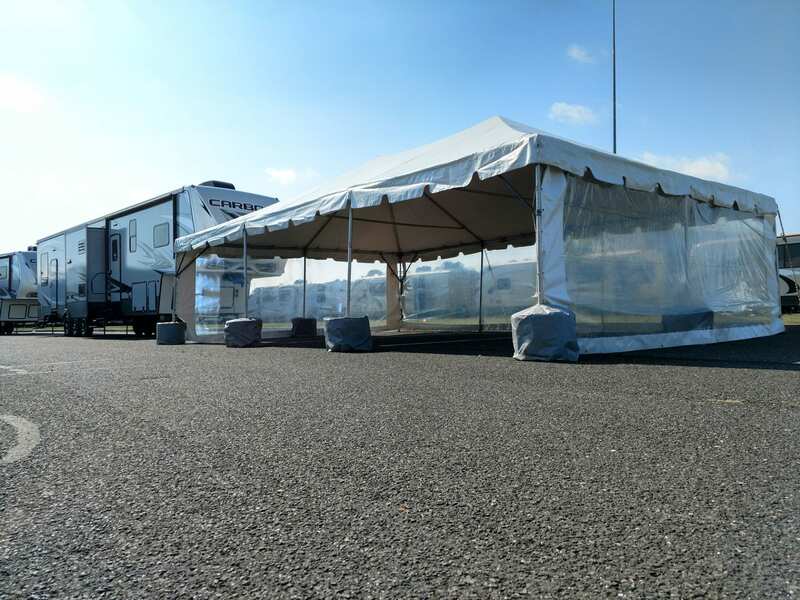 For example, a 20 x 20 tent will seat 40-50 people. 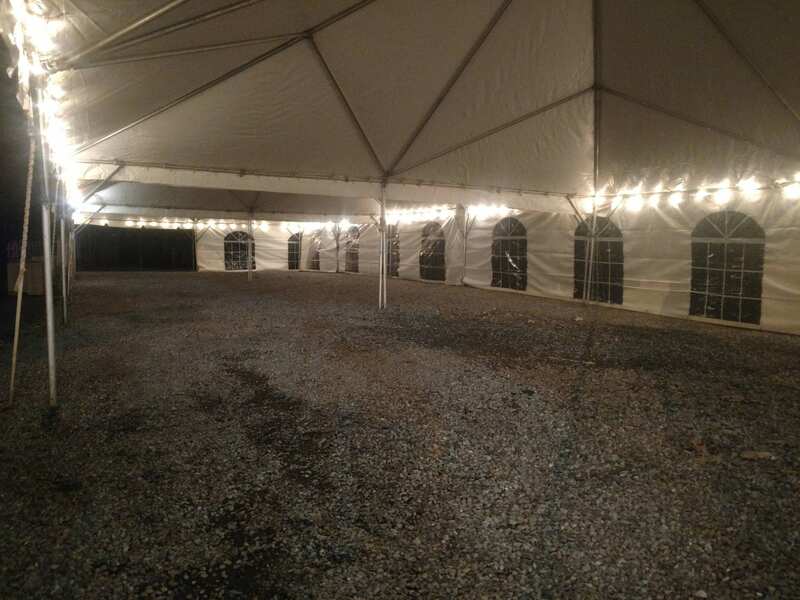 Do you want anything else besides seating under the tent such as a buffet area, a bar, a DJ, and/or a dance floor? 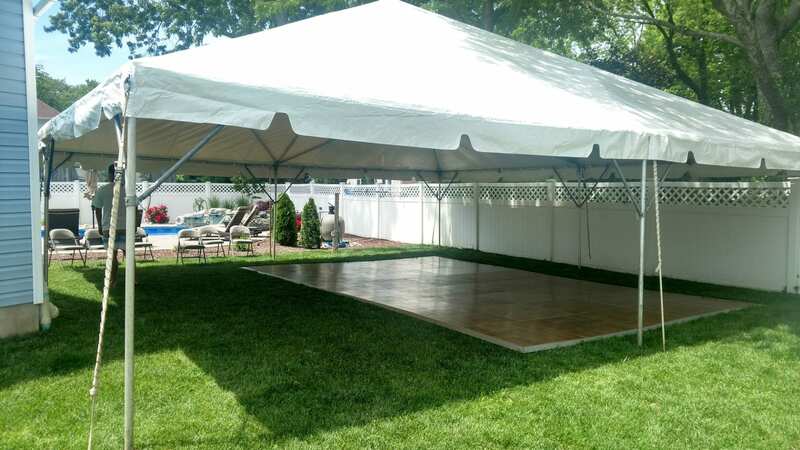 The tent then needs to be larger in order to accommodate everything you want to put under it. 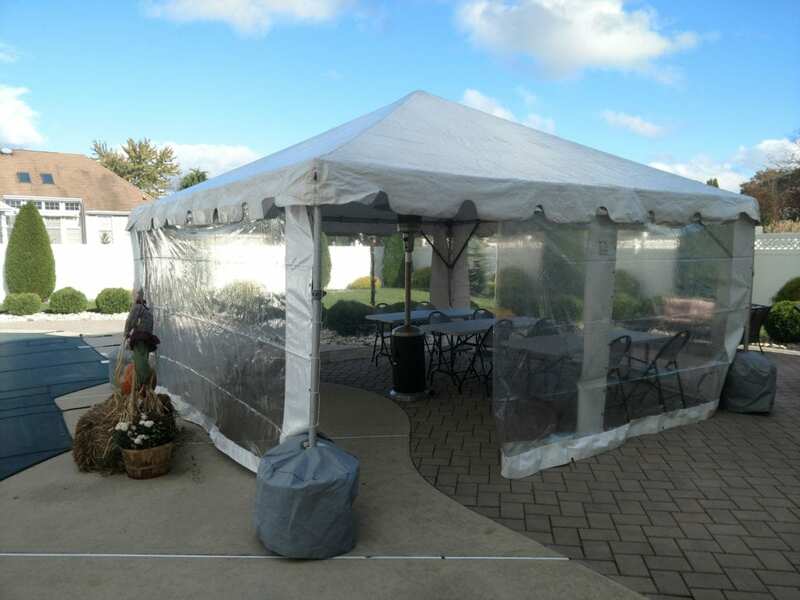 How do you know what size tent will fit in your yard and where the best place to put it would be? 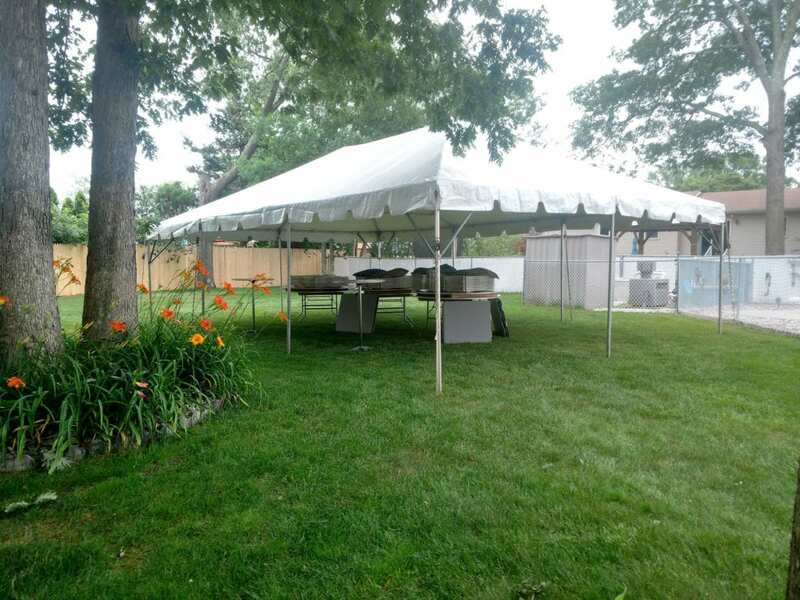 Many factors affect where you put the tent and what size tent you use including trees in the yard, shrubbery, decks, pools, and patios to name just a few. The tents are free standing frame tents, but need to be staked into the ground for stability. Do you have a deck and want to put the tent on the deck? 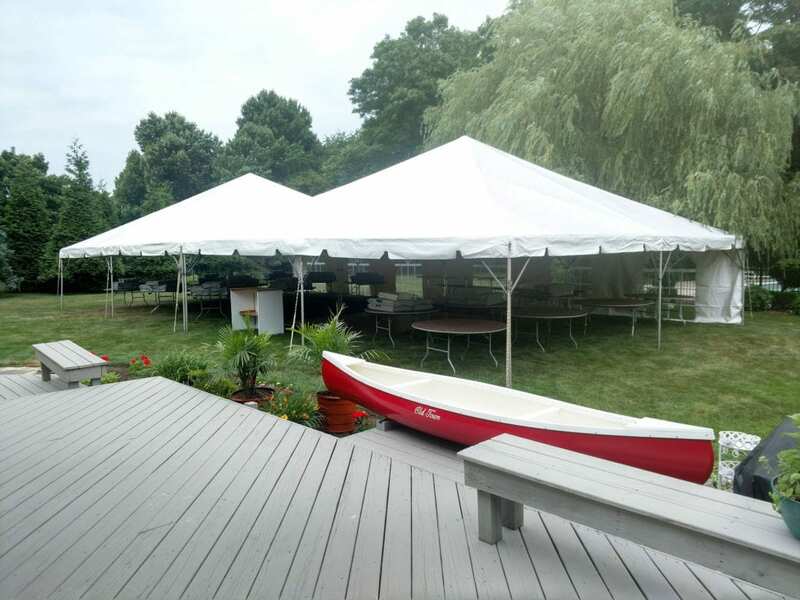 You need to know how big the deck is, how far off the ground, and can the tent be staked into the ground. How do you determine the size and number of tables you will need? See the Products page for sizes available. 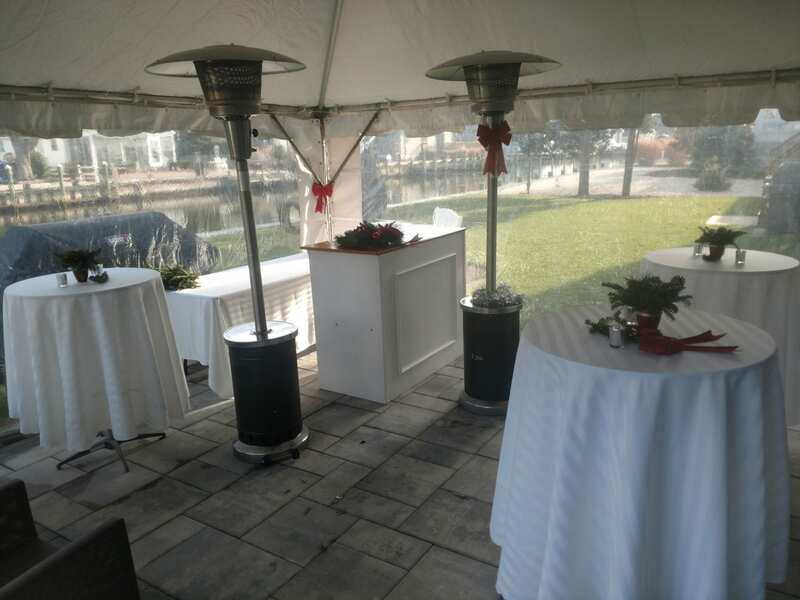 We will be happy to assist you with table suggestions based on the amount of people you have coming.